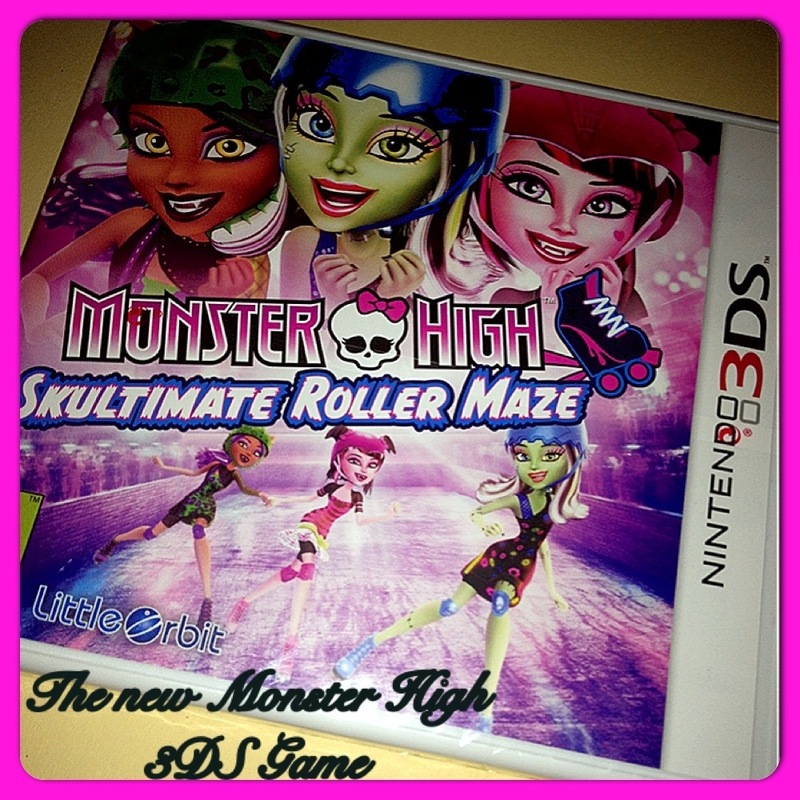 Monster High 3D Skultimate Roller Maze is currently the game of choice in our house. With a 10 year old daughter who is indeed monster high bonkers, what else would you expect. Alice-Sara was made up at being given the opportunity to review a game based on the wacky monster high characters. She already has a huge collection of the dolls… Near on 50 to be exact so she of cause liked the idea of seeing them come to life in a 3d game. Roller Maze reminds me of super Mario cart and I love Mario cart! However, instead of little mushrooms sat behind the wheel of little cars, we have freaky but somewhat awesome leggy monsters on roller skates racing one another around various different courses. Skultimate Roller Maze, allows you to Pick your favourite Monster High character to race the crypts of Monster High and other schools. Along the way you must collect power-ups while trying your best to avoid other monstrous obstacles. Each character has its own unique abilities designed to help them win the race. If like Alice-Sara, your child is a monster high fan, they certainly won’t be disappointed with this game. Having the release in 3D makes it all the more exciting. Alice gives this game a big fat 8 out of 10… More courses and music would be an added bonus but on the whole its really great and we love it. Monster High Skultimate Roller Maze (3D) is available to purchase from most well respected UK retailers now! Disclaimer: We were sent the game free of charge for the purpose of this review. Nonetheless all opinions are honest and that of my own and my daughters.